But with a shutdown official, Bonita Williams won't be getting paid this Christmas. Bonita Williams wanted to buy her grandchildren a bike for Christmas. But now the janitor who sweeps floors and scrubs bathrooms at the State Department worries she won’t be able to pay her rent if there is a partial government shutdown this weekend. Williams, 56, is one of roughly 2,000 janitors, security guards and other federal building workers who stand to lose wages this holiday season if funding runs dry for a number of agencies, according to 32BJ SEIU, a labor union that represents 120,000 of them on the East Coast. 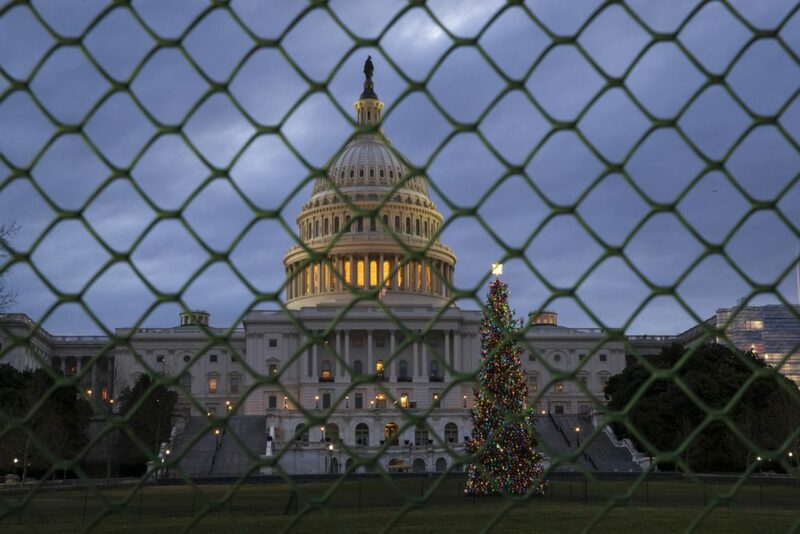 President Donald Trump warned Friday that a partial shutdown “will last a very long time” unless Congress meets his demands for billions of dollars for a border wall in a stopgap spending measure. Trump’s threat scared Williams, who works for a government contractor. If she loses a week or two of wages, she said, she’ll have to move in with her mother in North Carolina. She wouldn’t be able to cover electricity – let alone new wheels for her grandsons, ages 6 and 9. The Office of Management and Budget told federal agencies Thursday that they should brace for closure. Hundreds of thousands of workers could be benched at the Commerce Department, the Department of Housing and Urban Development, NASA, the Transportation Department, Forest and National Park Services and other government operations. Most federal employees can eventually receive back-pay if their agency temporarily closes – roughly 850,000 collected compensation during the 2013 shutdown, The Post reported at the time. About 1,200 janitors, security guards and food service workers, however, did not have that kind of protection. Cleaners like Williams often work as contractors, meaning: Another business writes their checks. And those checks halt if government agencies stop requesting their services. When reached by phone Friday, an employee at R & R Janitorial Painting & Building Services, which staffs cleaners for the State Department and other agencies, declined to comment. Lila Johnson, 71, who cleans the State Department, said her supervisor told her Friday to use her sick days or vacation time to cover lost wages in the event of a shutdown. Johnson said she’s the breadwinner in her Hagerstown, Md. house, where she’s helping to raise her 6 and 15-year-old grandsons. As the risk of an extended shutdown looms, she’s worried about the rent, car and life insurance payments on top of keeping food on the table. “The man only cares about himself,” she said.